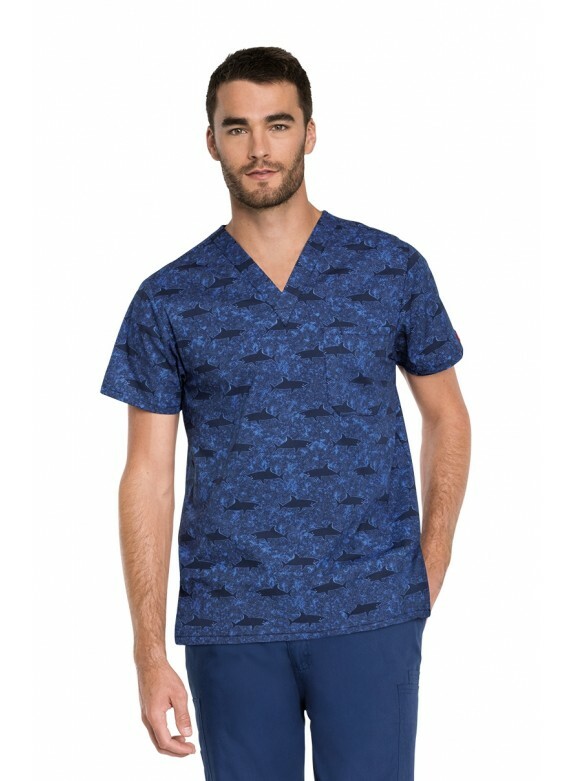 Stand proud and with full confidence in the DK725 Shark Week Men's Print Scrub Top from the Dickies Prints Collection. 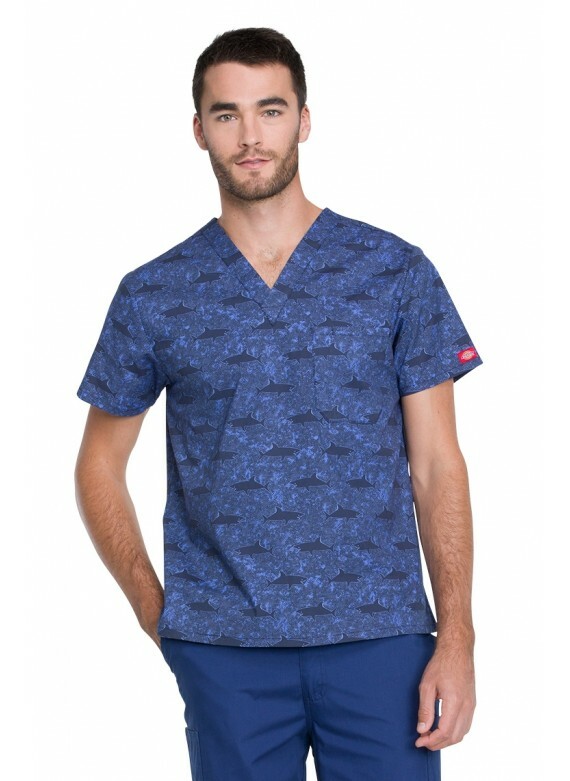 This patterned scrub top is full of personality, with sharks swimming about, and a sharply contrasting Dickies logo on the sleeve. 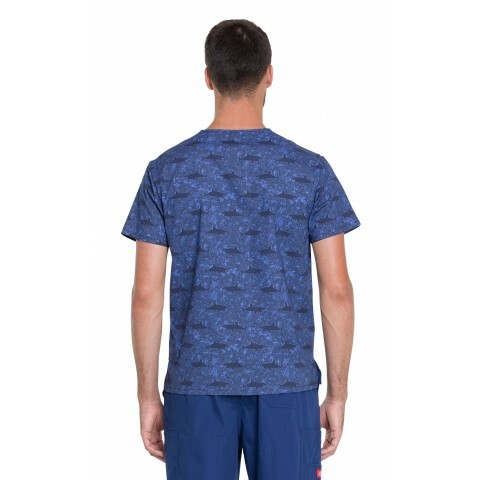 The fit is modern and masculine, and the feel is incomparably soft. 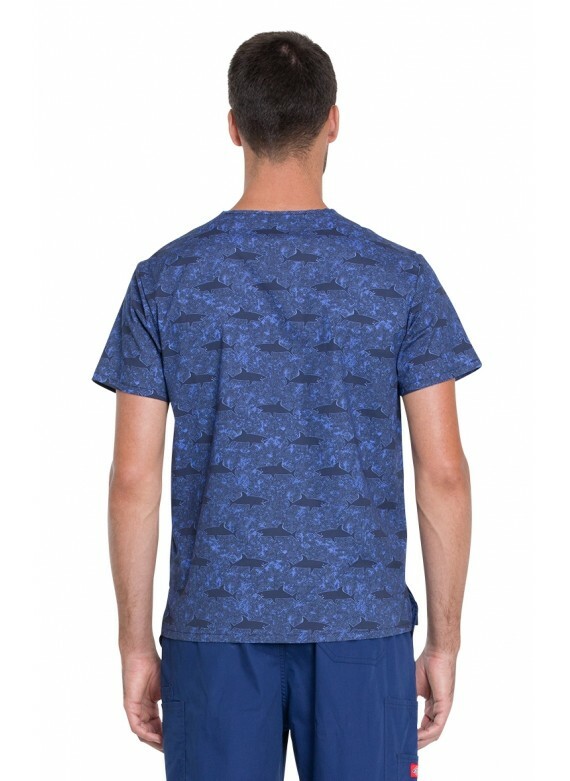 Have you always dreamed of wearing cotton tees to work? Well, there's no need to imagine; see what reality has to offer you! 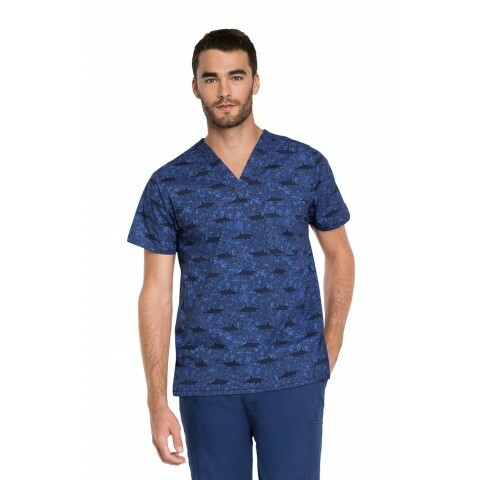 To be specific, check out this men's cotton scrub top from Dickies. Try it on and enjoy the ultimate in comfortable medical apparel. 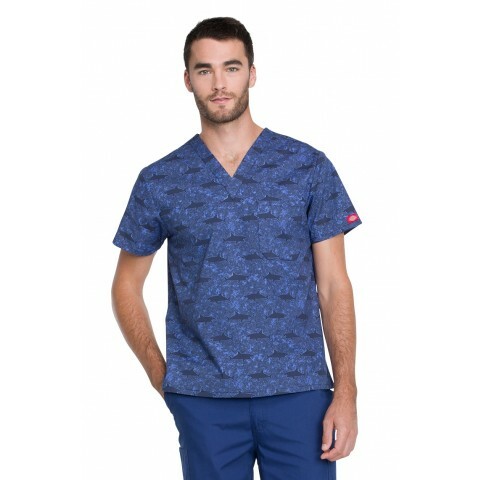 With a classic chest pocket to store your phone, a pen, or a handy note pad inside of, this scrub top is the perfect blend of practical and fashionable. Side vents afford you easy movement, so that you can care for patients more efficiently than ever before.